There was once a raven-haired fortune teller who, tracing her forefinger over my palm, told me that I would live to be in my nineties. I was alarmed when I realised some time ago that I had reached quarter age in spite of her promise of longevity. This realisation, coupled with acute post-graduation panic (PGP) has propelled me to a life crisis. My LSB has reacted with swift benevolence by agreeing to shoulder all of my birthdays since my eighteenth, gaining a year in age for every one of mine lost since stagnation at 18.While we were celebrating his twenty-fourth birthday last week, there was an unspoken agreement between us that it was in fact his twenty-ninth. In honour of the occasion, we neglected to dwell on the fact that the age gap in our relationship was getting inappropriate. You see, here’s the thing. The quarter life crisis creeps up on you. It lures you in with prospects and binds you with your own indecision. It tugs at you when you wake in the morning and when you go to bed at night with the unceasing, unanswerable question: what are you going to do with your life? And let me tell you something else. 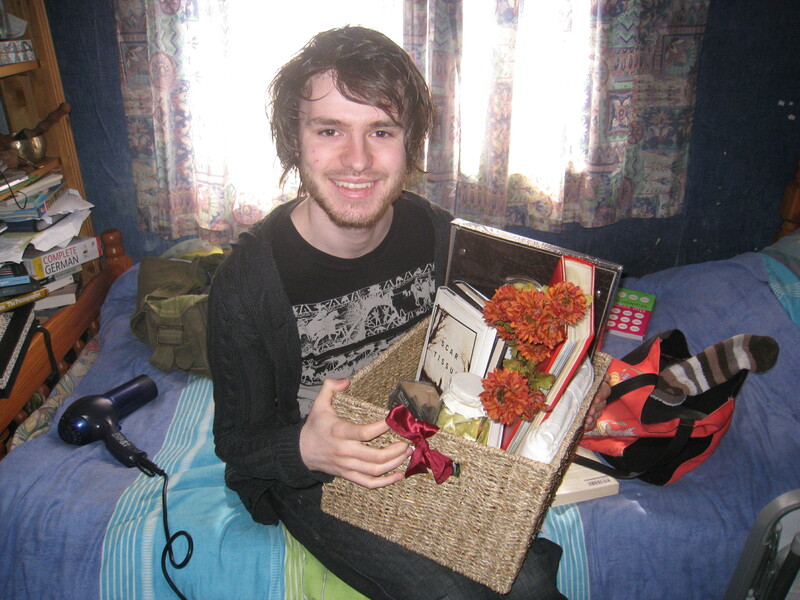 People are beginning to get engaged. People are beginning to accept jobs for life. People are beginning to have children. People are pursuing PHDs. People that were, the last time I checked, as idle and unsure as me. Emigrate? But what to do in Emigratia? It’s not like I have much to offer them over there. Write a novel? Wish I could. Read a novel? No time; teaching. 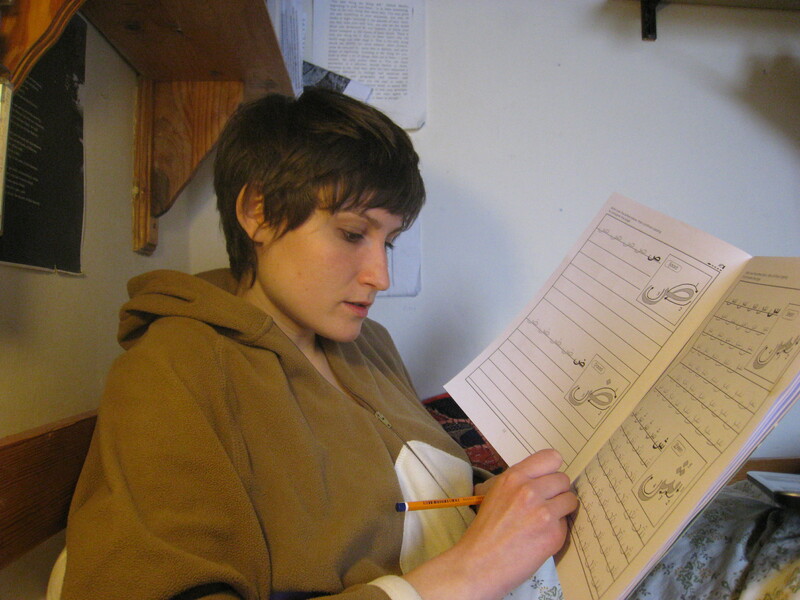 Become an autodidact? Arabic’s a start but in the wrong direction. Further study? Of what? Stay here with my LSB and parents? They’re worth more to me than anything, really. Is that acceptance? Or is it resignation? Suggestions and/ or predictions on a postcard, please. I have already documented in gross detail the plight of the teacher suffering from the common cold. In my continuing confessions, I turn to another phenomenon recently realised: You can make them do anything! It’s remarkable. Last week I was highlighting to a class of elementary students the difference between the sound of ‘th’ as in ‘that’ and ‘th’ as in ‘think’. I proceeded to write many words connected to the theme on the board. I then led a group chorus of these words, which I conducted whimsically by gliding the tip of my whiteboard marker in foul swoops across the board, alighting dramatically on my word of choice. There was something so ridiculous about the whole endevour and my temptation to make them utter whole sentences that I lol-ed facing the board and behind their chants. Another time, I was saying adieu to my class of French engineers. I had decided that their last class would be ‘fun’ so I had bought a box of delightful Irish truffles in that insufferably successful tourist shop O’Carrolls. Throughout my three week stint with the French engineers, I had been encouraging them to contribute to my home-made “Vocabulary Box”. I had made same on the advice of a highly-experienced teacher. 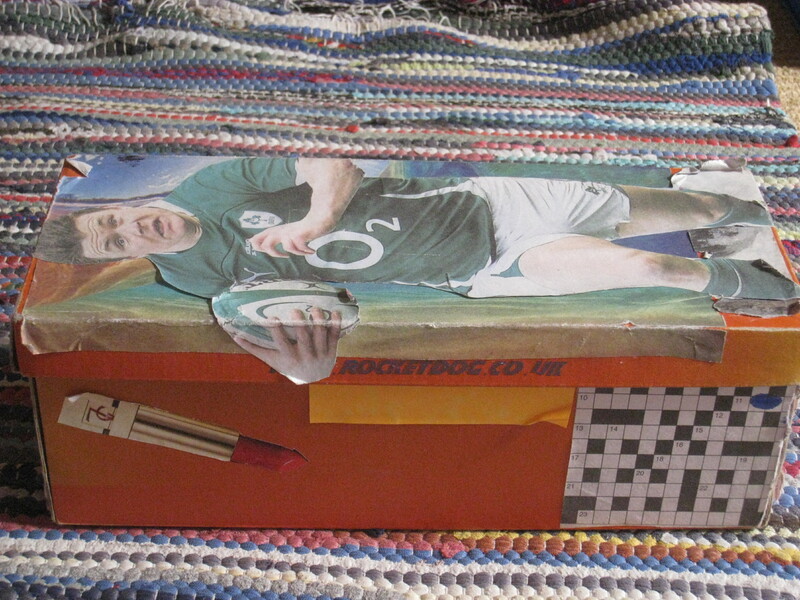 I had “adapted my material” and “connected with the student body” by pasting a large picture of Brian O’Driscoll on the cover of the box. This was to act as a gentle reminder to Céderic, Frederic, Laurent and Stéphane (not their real names), that though France may have beaten Ireland at the rugby the previous weekend, the vocabulary box was a zone not to be conquered by Les Blues. They had accepted this with the bemused equanimity to which I had become pleasantly accustomed. However, as the time came for me to wrap up my classes, I realised that the vocabulary cards resident inside the box had not come to any kind of finalé. Therefore, I packed in my bag a three-cd set of Irish music and announced that we were having a vocabulary quiz with on-the-spot prizes. I explained that I would pick at random a word from the vocabulary box, which they would then – working in teams of three- have to put into as many sentences as possible. The time limit would be set by the pumping beat of Lord of The Dance, which would stop suddenly in the manner of Musical Chairs. As I watched them scribbling frantically sentences containing the word ‘shamrock’ over a mix of Irish melodies, I had to once again turn away to hide my mirth. 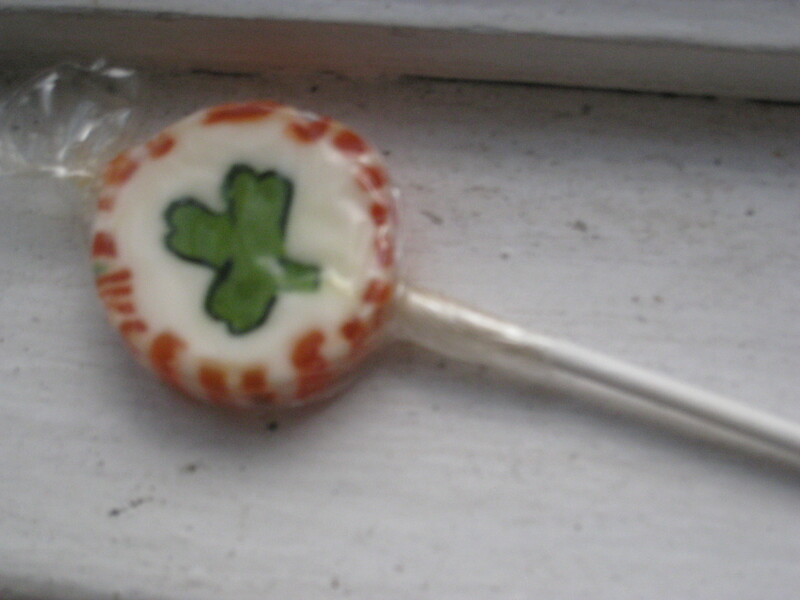 The first spot prize – a lolipop with a picture of a shamrock on it – was flung to Bernard, for his sentence “The shamrock bring me good chance”. A chancer I certainly am. As a teacher, there is no opportune time to blow your nose. I know this because I thought I had cracked it last Friday. My middle-aged French engineers were engaged: the weekly test, you see. You could have heard a pin drop so a sniffle was out of the question. Nothing but the soft scratch of their pencils: a concerto with passages of relative conviction and uncertainty. The tickle of moisture that was descending my nasal passages caused me to twitch. 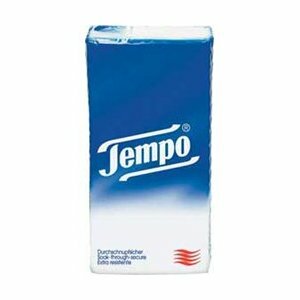 With reverence for the exam conditions in place, I fumbled gingerly in my bag for a tempo tissue. I dabbed gently. Somewhere dancing in the air about me, I sensed the chemical energy of eyes boring into me from the side. I was caught. Francois, first finished and ready to doodle flashed me a sympathetic grin. Or at least, that’s what I thought it was at the time. With the benefit of mature reflection, I realise he was bemused. He had been watching my entire escapade and he had thwarted the very possibility of success by mere observation. I would have been furious had he not been my second favourite student. I was now in the precarious position of having to dispose of my snotty tissue in a classroom without a paper basket and in the knowledge that Francois was enjoying full comprehension of the wordless language of awkward etiquette. Up my sleeve? Total no-goer. Too risky. Could fall out at any time; particularly when writing on the board. Nothing for it, but to drop it back in the bag, slowly does it, just stretching my left arm, downward. Drop. Done. Gone. Can’t help myself. Take a quick look over at Francois who averts his gaze, quickly. Test over, little bit of bustle as scripts are handed up and responses compared. I sniff long and hard into the background murmurs and exhale, deeply. Bliss.